Pro Dog Baths are built with all breeds in mind, from the largest to the smallest. 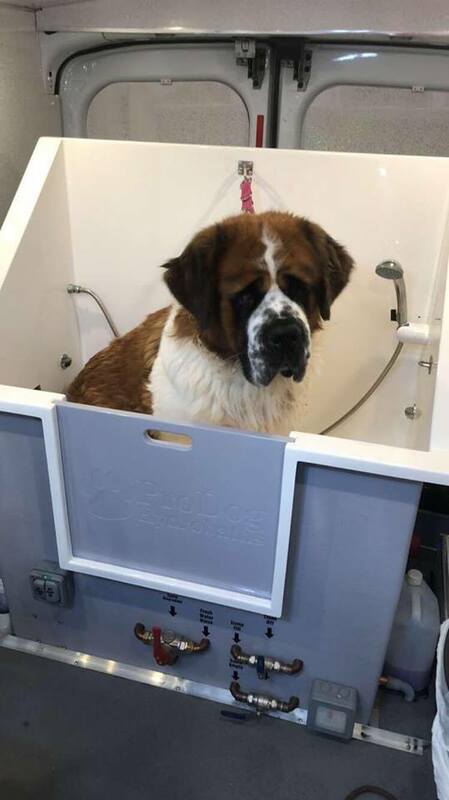 Our baths are perfectly suited for large dogs as the floor in the bath is low enough for them to jump in and out, reducing the chance of a back injury. For the smaller dogs we have the Pro Dog Small Dog Shelf which is easy to install, remove and store. The shelf is strong enough to bath up to Spaniel size dogs. Pro Dog Baths have revolutionized the dog bath market, with our standard and high back bath options, boasting the quickest heat times of any bath available on the market, by using our revolutionary quick heat system. Pro Dog Baths offer a choice of water tank sizes and positions, with the largest being 50 ltrs bigger than any other on the market. An IP rated digital heater that is accurate within 1c. We have many innovative designs, making us the Number 1 choice for any salon or grooming van.